H 8.5cm (excluding hanging ribbon) x W 9.5cm at widest part. 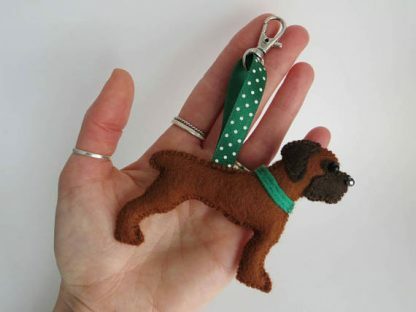 Designed and handmade by me, a South African Boerbel mastiff dog bag charm. Made from felt & filled with polyester stuffing. Beads for the eyes and nose complete the details. 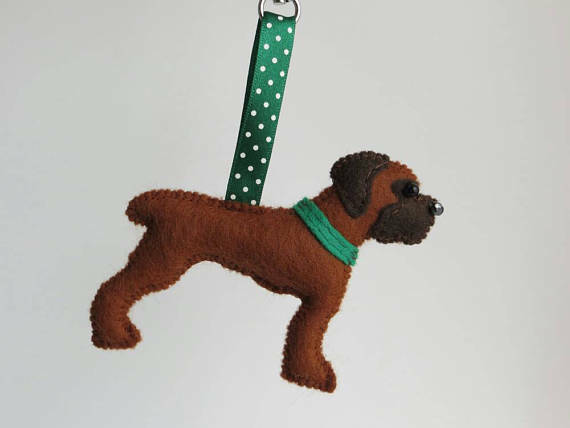 Co-ordinating green collar and hanging ribbon. Materials: felt, polyester stuffing, beads, metal bag clip, ribbon.